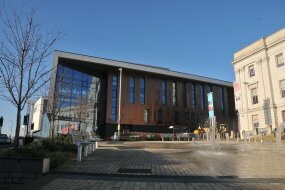 The new Barnsley Sixth Form College campus on St Mary’s Place opened in January 2016 and offers a first-class learning environment for A Level students from South Yorkshire and beyond. The campus houses all of the college’s A Level provision and features classrooms, learning zones, an outdoor space for art students and a rooftop garden. Visit the Barnsley Sixth Form College website for more information about studying A Levels with us.